Do you have someone that has made an impact on you spiritually? How have they taught you about your faith? Here are some of my heroes that have impacted me. There are many in history that impacted others and left a legacy of their spiritual lives. Many have impacted me in their methods, writings and fervor for a relationship with Christ. While there is not enough space here to write about these men, I pray that you will read and follow the links and allow their lives to impact yours. Bible Study – Martin Luther & John Calvin: Both of these men had a raving desire for God’s Word. Through the study of scripture Martin Luther became a follower of Christ. He was convinced of the power of God’s Word and while secluded wrote the Bible out in his native language in the common tongue so that all might read it. John Calvin loved God’s Word and the he devoted his life to teaching it through Bible studies, church services, starting Universities and more. Their desire for God’s Word led to the reformation and has an effect on us today. 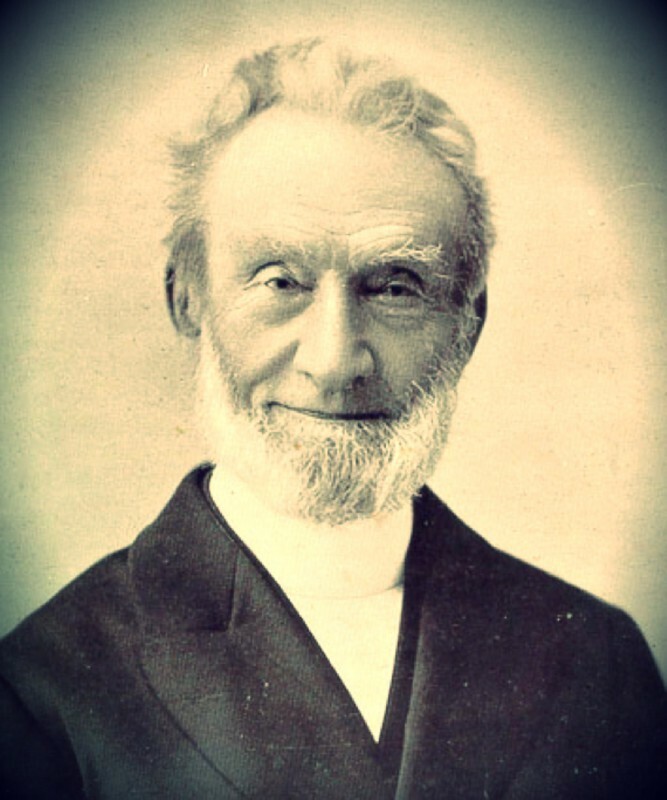 Prayer – George Mueller: George was born in 1805 in Germany and as a young man traveled to England to be a missionary. Long story short he ended up starting an orphanage, which by the end of his life would help 1,000s of children. And he raised all of the funds needed through the power of prayer. He never once asked anyone for money but rather prayed for all of his needs. One of my favorite stories about his prayer life and faith was when they gathered all the orphans together for breakfast. They sat down and he prayer for the food that God had provided. The problem was there was no food. As he prayed, there was a knock on the door and the local baker was there. He told him that God had impresses upon him to bake bread during the night and he had a bunch of bread and nothing to do with it. A few minutes afterwards the milkman came to the door and a wheel on his cart had fallen off and he needed to get rid of all his milk. Stories like this covered his prayer life. I can only learn and pray that I would have his kind of faith and prayer life. Here is an autobiography of his. This site has another amazing story of God answering his prayers as George was traveling to America. Memorization – Dr. William Evans: Was led to Christ by D.L Moody. He was the first graduate of Moody Bible Institute. Throughout his life he ended up memorizing the whole Bible in the King James Version and in another version the New Testament. He has written a book on how to memorize scripture. Worship – John Newton: John was slave trader in the 1700s before he radically came to know Christ. The Gospel transformed his life and he soon became a pastor. While being a pastor, he wrote over 280 hymns that were published that reflected his conversion, spiritual life and theology. You might know a few; ” Amazing Grace”, “Glorious Things of Thee Are Spoken,” “There Is a Fountain Filled with Blood” and many more. His songs reflected the change and the joy in his heart that came from salvation. May my heart sing God’s praise like John Newton! Obedience – Jonathan Edwards: We could talk about the many people in the Bible like Abraham and Elijah. Jonathan Edwards was a pastor during the 1st Great awakening in the 1730’s. He is famous for helping to start this revival through his message, “Sinners in the Hands of and Angry God.” God greatly used him during this time. His desire for complete obedience and holiness was paramount for God using him. Here are some quotes. Disciple Maker – Barnabas: His name means the son of encouragement. He took to making disciples who made other disciples. His first was a man by the name of Saul who became known as Paul. Paul in turn, discipled Timothy and others. I have learned many lessons from these men who have left their legacy to us. I desire to continue learning from others so that I might grow in my relationship with Christ. I pray that these men of faith would impact you. What are some of your spiritual heroes? And why? Throughout this series I will be using the hashtag #Legacy on twitter. Love to hear your thoughts. Looking forward to hearing from you. One of my favorite Spiritual Leaders is Charles Haddon Spurgeon. I’ve listened to several of this books on audio and read through some of his books. His story fascinates me and the dedication to master the art of speaking and capture audiences was remarkable. I wish I could have listened to him or attended one of his services. I love these quotes Jeremy! Jim Elliot has long been one of my hero’s of the faith. I read his story, and though his published journals, a number of times while in college. I remember being inspired by his genuine passion to both know and serve God. I agree. I have loved hearing the story of Jim Elliot and can’t hear enough. That is great that you are able to find someone you know personally that you can loo up to like that. There are a few people in my life that I look to as well. Love hearing your thoughts!